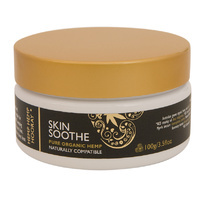 Feel your skin tingle and breathe with our creamy CLEANSING CREAM infused with organic lime and hamomile. Gentle enough to use morning and night this cleanser is the first step in your healthy skincare regime. Suitable for all skin types, especially acne prone or sensitive skin. Our cleansing cream is also great for removing eye makeup without stinging your eyes. Simply dampen the face, massage cleanser in a circular motion around the eyes and face and wash off with warm water and a face cloth. Follow with your chosen moisturiser, night cream or face oil. INGREDIENTS: Purified water, Australian grown organic hemp seed oil, certified organic jojoba oil, vegetable emulsifying wax, vegetable glycerin, benzoin tincture, natural NON GMO vitamin E, Grapefruit seed extract, certified organic essential oils of lime, chamomile & lavender.